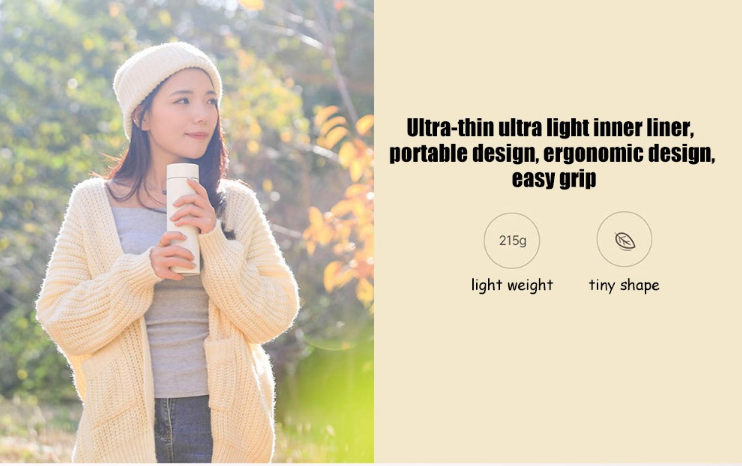 The Xiaomi simple stainless steel thermal water bottle has a sublime and classic design. 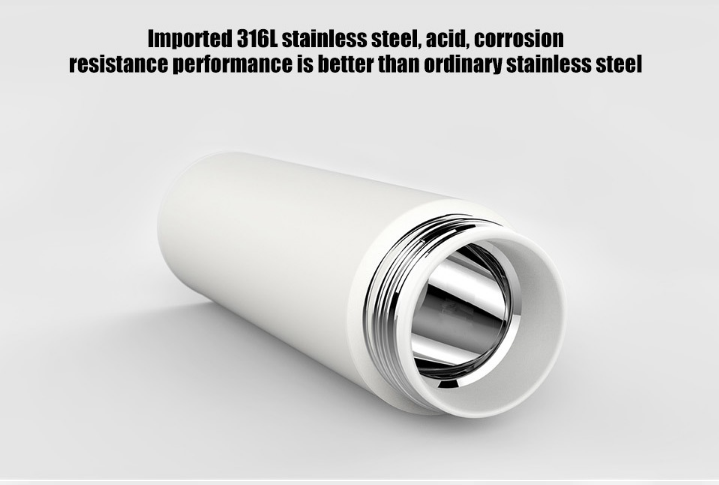 It comes in a white color and its fabricated from imported 316L stainless steel[which has better acid and corrosion resistance performance than the ordinary stainless steel], PP, and PSU and silicone. With this in place, you rest assured of using this stainless steel water bottle for years without any issues on rust which tend to reduce the value, beauty, and even ruin the water bottle. It has an Ultra-thin ultra light inner liner giving it a more portable and ergonomic design. 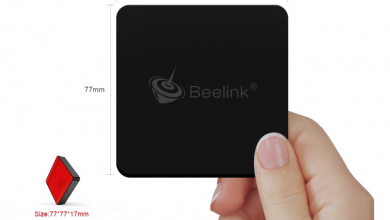 It has a dimension of 6.50 x 6.50 x 21.70 cm and a total weight of 215grams which shows the device is very portable and light. This stainless steel water bottle has a large capacity of about 500ml which is designed for carefree travel. Are you going out for a walk and u need to carry little water along? 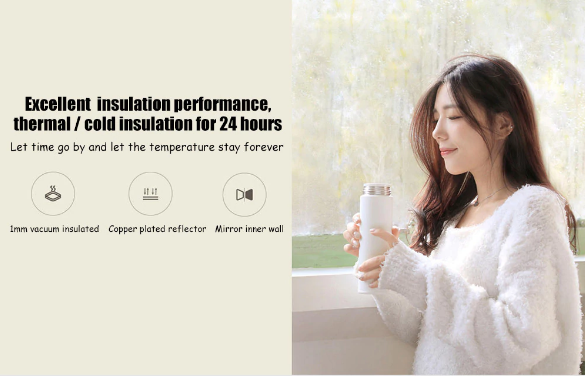 then get the Xiaomi simple stainless steel thermal water bottle and it’s all fixed up. This beauty water bottle has an excellent insulation performance with thermal/cold insulation that can last for more than 24hours. 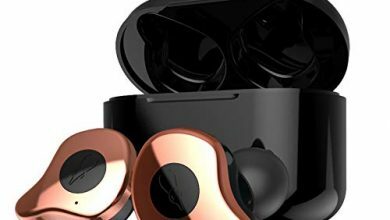 It has an inner mirror wall of peeling oxide layer which is very smooth and not easy for bacterial impurities to attach, unlike the matt inner case that easily attracts bacterial impurities and very difficult to clean. Are you going to work and you need to carry drink along with you? then get the Xiaomi simple stainless steel thermal water bottle and it’s all fixed up. 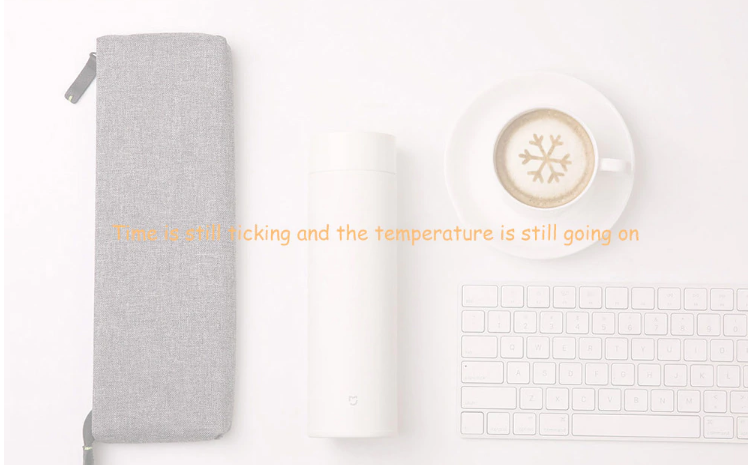 Where can I buy The Xiaomi simple stainless steel thermal water bottle?